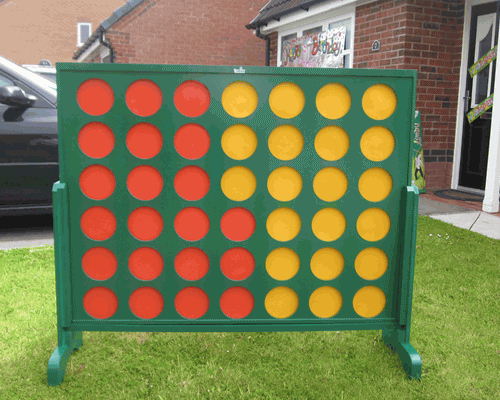 Giant Connect 4 Giant Game Hire/Rental. This classic game requires skill, strategy and a sharp eye as you compete with your opponent to get 4 playing counters in a row while trying to block your opponent from doing the same. 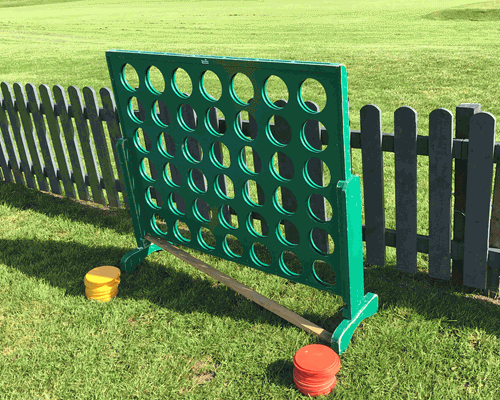 The game is started by slotting the disks into the frame one on top of another, the game is won by a player completing a set of 4 disks in a row be it horizontal, vertical or diagonal. 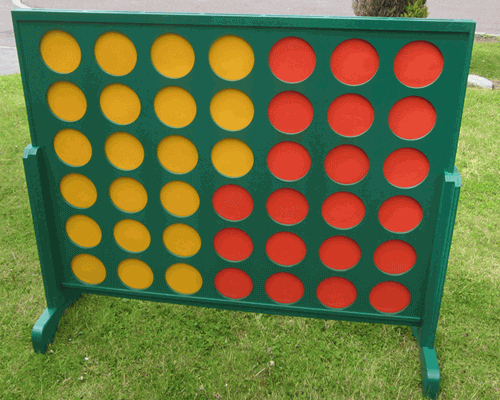 The giant version is usually played by two players but can also be fun when played by teams. Giant colourful counters and a solid wood main body make it all the more fun.